The high mass of the cycling spring takes place every fourteenth Sunday of the year. The most important day of the year for anyone whose heart beats for cycling, which includes practically every Flemish person. Easter parties are postponed, vacations are cut short. If the Tour of Flanders is on the calendar, everything else takes second place, and with good reason. Sunday brings all speculation to an end. The favourites are known, the outsiders are ready. 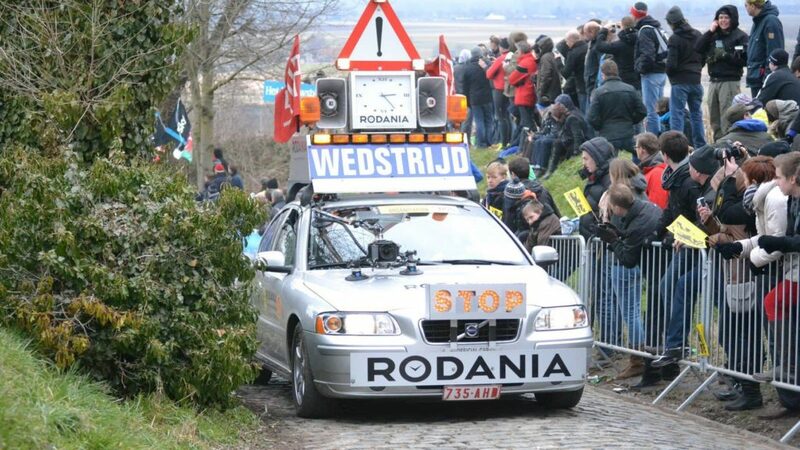 But in the end, all the races that have taken place in the weeks before the Tour of Flanders were just prep work. A taste of what’s to come on the cobblestones of the Paddestraat and the Haaghoek, and the bergs of the Oude Kwaremont and the Paterberg. But no more than that. All the hard work of the previous weeks no longer matters when the starting shot goes off this coming Sunday on the Markt in Bruges. All façades will crumble there among the 30,000 to 40,000 supporters. Here, all the Boonens, Cancellaras and Sagans of this world will find out just how good their legs are. And just how difficult this 256-kilometre trek towards Oudenaarde will be. So it’s no surprise that the Ronde sometimes takes on a sacred aspect. For the last two years, the ‘Tour of Flanders chapel’ has been welcoming visitors through its doors in the Hessestraat in Hoorebeke, the beating heart of the Tour. Surrounded by all the winners, you can pray to the cycling gods to grant you strong legs. If your little prayer is heard, you can take on the Wall of Geraardsbergen – the Muur - just a few kilometres away. The physical and psychological suffering during the 1,075-meter climb is nothing compared to the euphoric release of reaching the chapel of Father François Mbiyangandu at the top of the Wall. After all, it won’t be the first time that someone rose from the ashes here.